"It's not my fault. So you can't blame me." Those are the first words in God Help The Child, the new novel by Toni Morrison, spoken by a character named “Sweetness.” Or at least, that's the name she makes her daughter call her, because she’s embarrassed by the darkness of her daughter’s skin. "It's not my fault. So you can't blame me." Those are the first words in God Help The Child, the new novel by Toni Morrison, spoken by a character named "Sweetness." Or at least, that's the name she makes her daughter call her, because she's embarrassed by the darkness of her daughter's skin. "In this book, I was very interested in childhood trauma paralyzing us in the contemporary world," Morrison tells As It Happens host Carol Off. "Almost everyone [in the novel] has had this terrible psychological, or actual thing happen to them... but the fact is that you have to deal with it, move along. It's not all about you and your little trauma." At fewer than 200 pages, God Help the Child may be one of Morrison's shortest books, but it contains rich explorations of love, race, and the effects of childhood trauma — and is one of her rare novels to be set in the present day. "Contemporary writing is very, very different than 20 years ago," comments the 84-year-old Morrison. "It's very self-referential, very inward. It might be a consequence of creative writing classes where you're told, 'write what you know'... I always force my students — immediately — do not write what you know, because you don't know anything. I want you to write about someone you invent, some situation that would never occur to you." God Help the Child is Morrison's 11th novel in a storied career that includes tenured professorship at Princeton, a National Book Critics Circle Award, a Pulitzer Prize and the 1993 Nobel Prize for Literature. 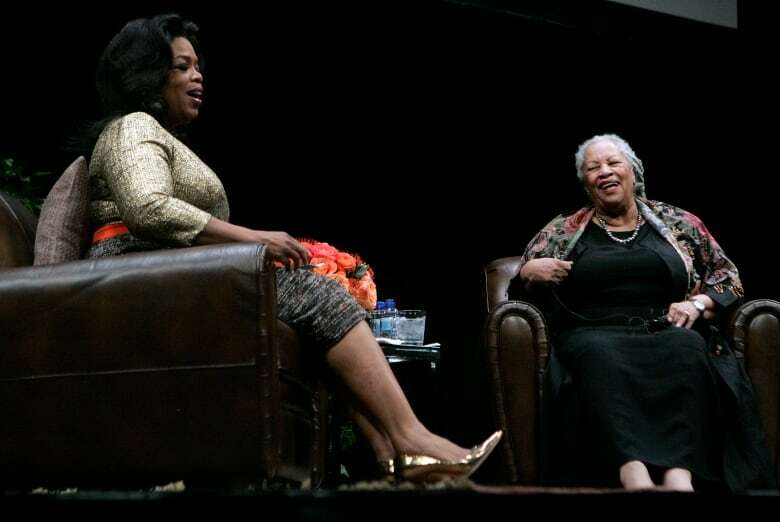 When asked which honorific she prefers — "one of the greatest living African-American authors" or "one of the greatest American authors" — she says there's no need to choose between them. "It has to be both," she says. "Tolstoy was a Russian writer and he was a world writer. I don't know why you can't be both things. Out in the world, I relate fundamentally as an African-American female and what is hanging over that, or sheltering that, or feeding that is the art. That's what I am, a writer." Because her latest work and oeuvre deals with themes of race and racism — she's been asked about the recent shooting deaths of black men — in Ferguson, Missouri, and in North Charleston, South Carolina, in recent interviews. A white police officer shot Walter Scott earlier this month. "They are such cowards in some of these areas of police work," she says in reference to the Walter Scott shooting. "Can you imagine what it would take? How soft, terrified and self-loathing you'd have to be to shoot somebody eight times in the back? It's so the opposite of brave. It's so unmanly. You wouldn't think anybody would do that, but they do if it's a black man... I want to see a list of all white young men who have been shot in the back by white police men. I want a little list." Her recent comments on racism to the U.K. newspaper The Telegraph have pointedly referred to how racism and its related hostility is a "money-maker." "Slavery pays, c'mon," she elaborates. "[The U.S.] moved from an agricultural non-entity into the industrial revolution in something like three decades. There was nothing here. They caught up to England and Europe with unpaid labour, which they had to continue to bring in because the work was so awful and they died... It's like war. It's a business for the war machine." 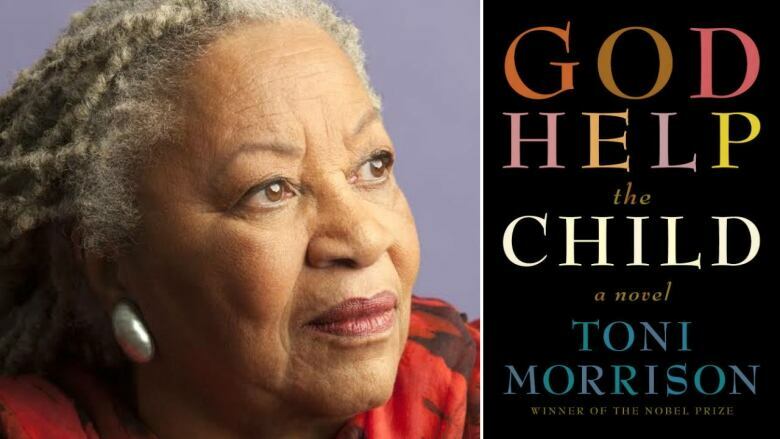 Toni Morrison's God Help the Child is published by Knopf Canada and is available on Tuesday, April 21, 2015.